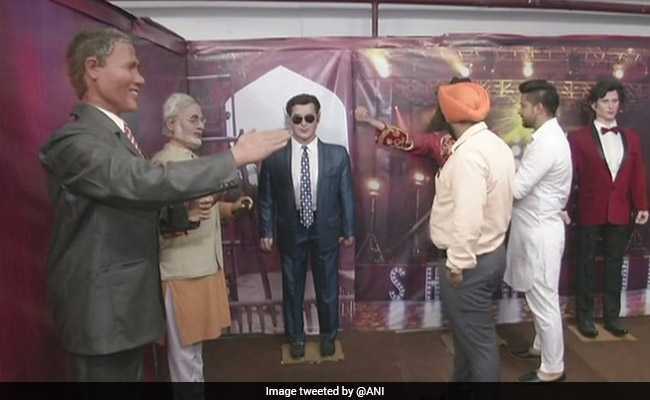 Images of a wax statue museum in Ludhiana, Punjab triggered a wave of jokes and mocking comments. The Ludhiana wax museum has 52 statues of famous international personalities. New Delhi: While wax museums generally leave visitors in awe, a new one in Punjab seems to have bucked the trend. The whacky statues in Prabhakar's Wax Museum in Ludhiana have become the source of much derision and spurred an unending spree of wisecracks for their appearances which look very little like their real life counterparts. One Twitter user, however, shared a side of the story that may make those mocking the effort feel sorry. News agency ANI reported on the 52 statues at the Ludhiana museum on Sunday, posting pictures on social media. In no time, it left the internet in splits. Several people took to Twitter to share their takes on the statues which bore cartoonish likenesses to famous international personalities including Prime Minister Narendra Modi, Mother Teresa, Barack Obama and Sachin Tendulkar, among others. "Please tell me this an April Fool's prank!" wrote one user. "Finally Mangal Pandey's wax statue displayed in Ludhiana," said another, posting the picture of the statue supposed to be Michael Jackson's. That is the worst thing on my TL today. One Twitter user, however, shared a contrarian take. Discovering the thread of tweets, comedian Jose Covaco summed it up for most of the users, saying: "Everyone laughing at this.. You're going straight to hell (I'll see you guys there)."